Steer flowing water to where YOU want it. Divert & deflect waters away from assets. Why Choose Our Flood Fence System? Simply connect up units and its ready to go! 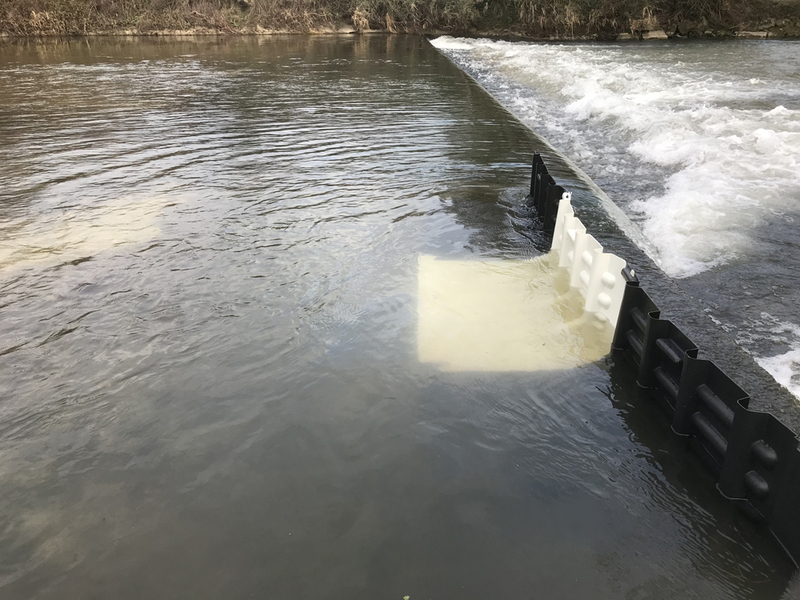 FloodFence™ is a lightweight and quick to deploy water diversionary system. The system can be connected and deployed rapidly. It doesn’t require any ballast to be pre-applied. 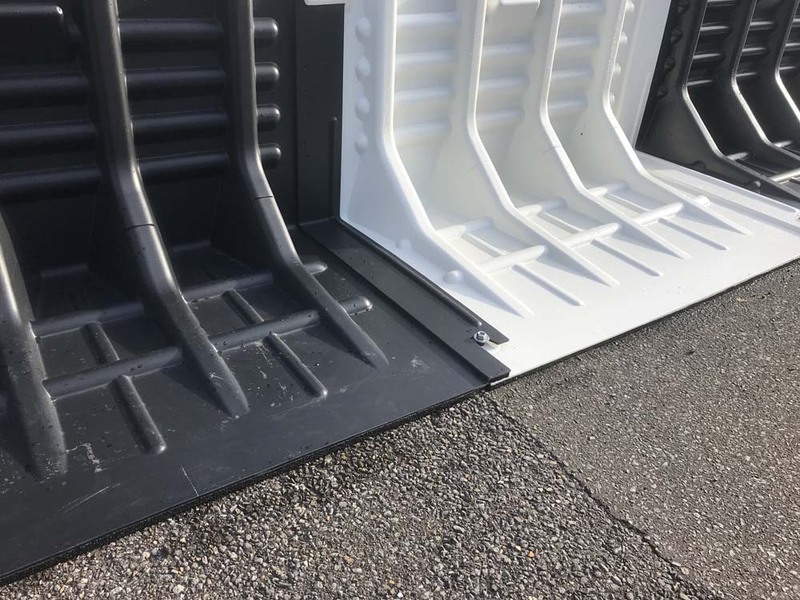 Each unit incorporates a slim line base gasket allowing sealing to the ground terrain. Use is recommend on hard-standings. 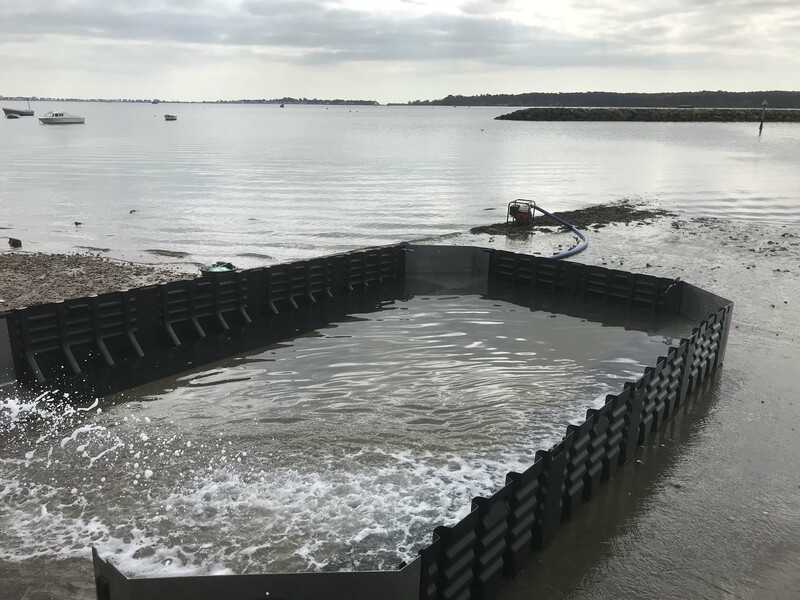 This system is ideal for controlling flowing water, for example diverting or deflecting damaging water flows to where you want them. Uses include for burst water mains and control of surface water run off. 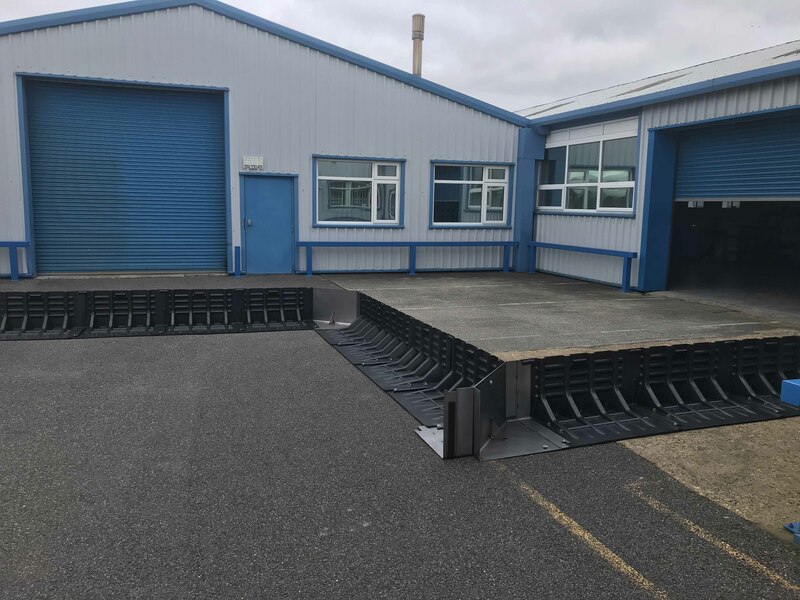 Each individual FloodFence™ unit is 0.45m high and 1.0m in length. When connected up to other units the effective linear length of each unit is 0.91m. 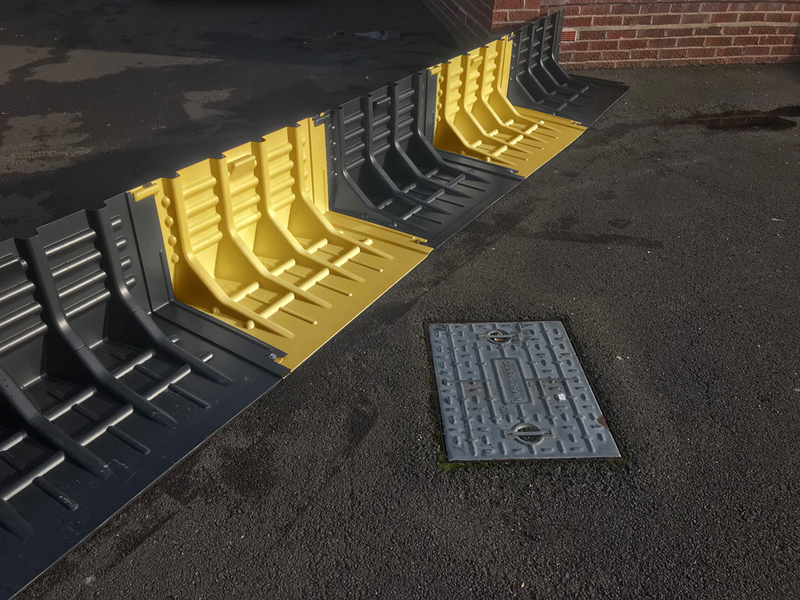 FloodFence is a water diversion system - for protecting (blocking off) a specific opening from flood waters we recommend the use of the award-winning Floodstop or FloodBlock flood barriers. Minimal Storage. 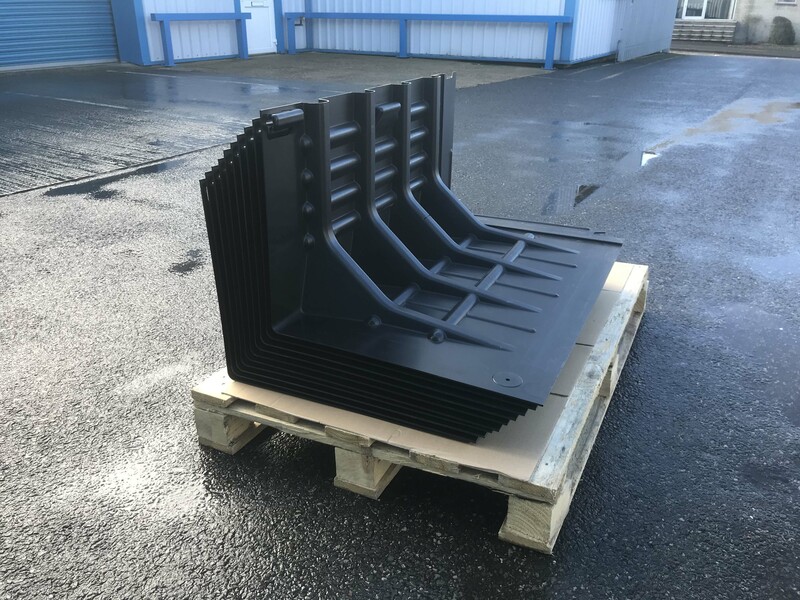 Units stack neatly, you can fit many to a single pallet.